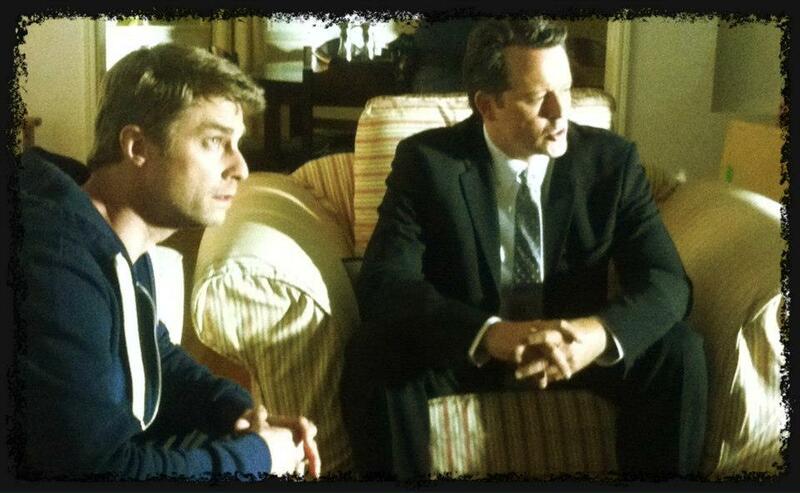 Steven Culp Online | Agent Robinson in "Collusions"
Following the confirmation I was looking for! IFS FILM FESTIVAL: "A magnetic north for any Cinephiliac"
IFS NEWS: The IFS Film Festival Is Here! 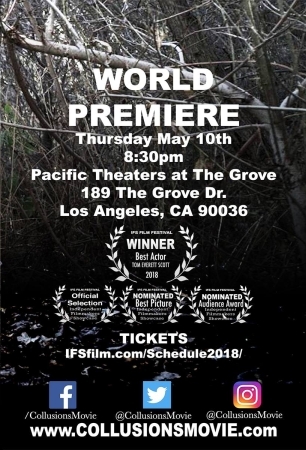 Visit the 26th Annual IFS Los Angeles Film Festival May 9th - 20th 2018. Screenings held at The Grove of Los Angeles & premiere cinemas across Los Angeles, Beverly Hills, and Santa Monica. IFS 26th annual LA Film Festival tickets go on sale April 20th at 11am. The stars come out at the IFS Film Festival. IFS Film Fest 2018 presents a festival line-up of new films from or featuring Neill Blomkamp, Jeff Bridges, Margot Robbie, Christian Bale, Greta Gerwig, Seth Rogen, Marisa Tomei, Piper Laurie, Brooke Adams, Kate Mulgrew, Jane Lynch, Minnie Driver, Helen Slater, Rebecca Miller, David Banner, Steven Culp, Tom Everett Scott, Peter Stormare, Mark Boone Junior, Robert Picardo, Patrick Fugit, DJ Qualls, Stephen Tobolowsky, Richard Riehle, Walter Koenig, & Gigi Edgley, along with our legendary curated cinema showcases featuring the best new filmmakers. IFS proudly hosts over 200 film premieres to represent the best new and independent cinema from all over the world from the past year, at our IFS Film Festival. Indpendent Filmmaker Showcase Film Festival screenings are held in Los Angeles, Beverly Hills, & Santa Monica cinemas. IFS Festival films are chosen by democratic voting from the 15o+ IFS Film Society Membership. Stay tuned to see what new films will be unveiled to premiere at the upcoming IFS LA FILM FEST. 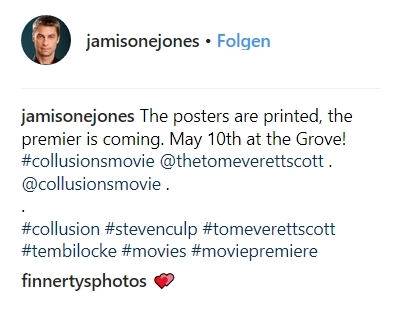 According to the Instagram account of Jamison Jones, the premiere of "Collusion" will take place on May 10, 2018 at The Grove, Los Angeles. So far, I have not found that information on any other site to confirm the news, but I hope it's true. 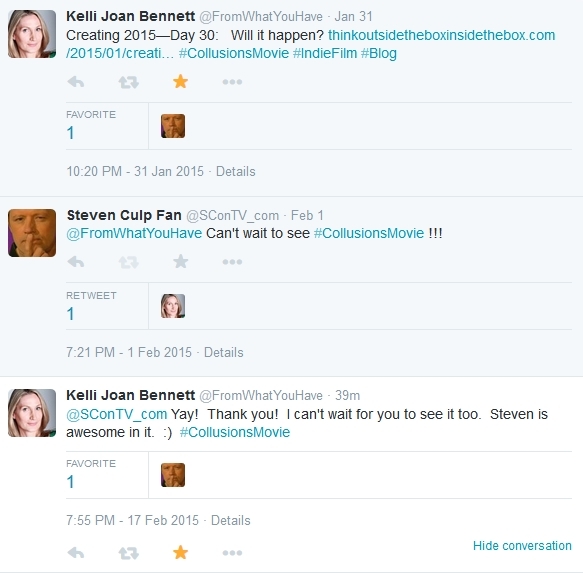 It looks like as if we get to see Steven's movie "Collusions" really soon! I don't want to jinx it BUT, this could be it. The final frontier…finishing Collusions! As of this second, the stars are seemingly aligned and it looks like we are on schedule to finish the score this weekend, do the sound mix next Monday and Tuesday, do color correction Thursday and Friday, opening titles and closing credits the following Monday, output that night and actually make the extended Film Independent member deadline of the Los Angeles Film Festival. O. M. G. I am sooooooo ready to finish this baby and send it out into the world! Cross your fingers! FYI: The Los Angeles Film Festival takes place from June 10 until June 18, 2015. 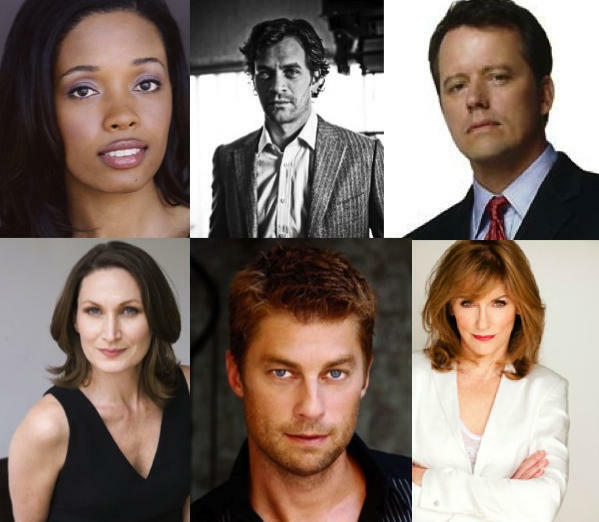 The first picture of Steven in "Collusions"
The cast of my #indiefilm #Collusions: Tom Everett Scott, Tembi Locke, Steven Culp, Jamison Jones, Brynn Thayer & me! Day 10 of production on my film begins in 8 hours! 1st day of filming starts tomorrow. 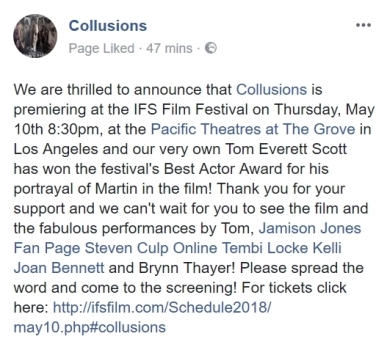 "COLLUSIONS" is a cerebral character driven crime mystery that follows four people,intertwined in the legal and law enforcement world of LA, as the story of a beaten woman, her missing tooth and their motives are revealed. 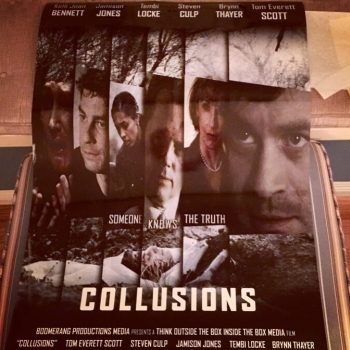 Think Outside The Box Inside The Box Media is excited to announce that the independent feature film Collusions officially begins principal photography on January 15, 2013. The script was commissioned by Think Outside The Box Inside The Box Media from screenwriter Monica Zepeda in November of 2011 and began development in February of 2012. Producer Jennifer Simpson and Director Anthony Vietro came on board in October of 2012. The production company is Tim Warren's Boomerang Productions. 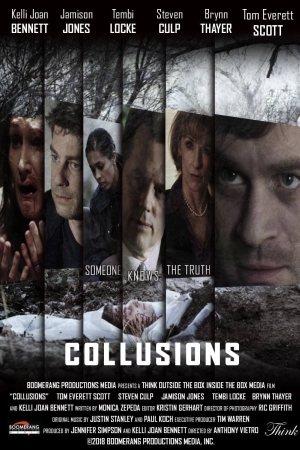 Starring Tom Everett Scott, Kelli Joan Bennett, Tembi Locke, Jamison Jones, Steven Culp and Brynn Thayer, "COLLUSIONS" is a cerebral character driven crime mystery that follows four people, intertwined in the legal and law enforcement world of LA, as the story of a beaten woman, her missing tooth and their motives are revealed.